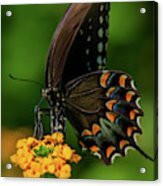 Papilio troilus, the spicebush swallowtail or green-clouded butterfly, is a common black swallowtail butterfly found in North America. It has two subspecies, Papilio troilus troilus and Papilio troilus ilioneus, the latter found mainly in the Florida peninsula. 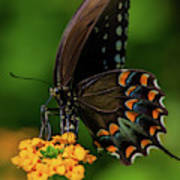 The spicebush swallowtail derives its name from its most common host plant, the spicebush, members of the genus Lindera. 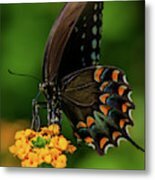 The family to which spicebush swallowtails belong, Papilionidae, or swallowtails, include the largest butterflies in the world. 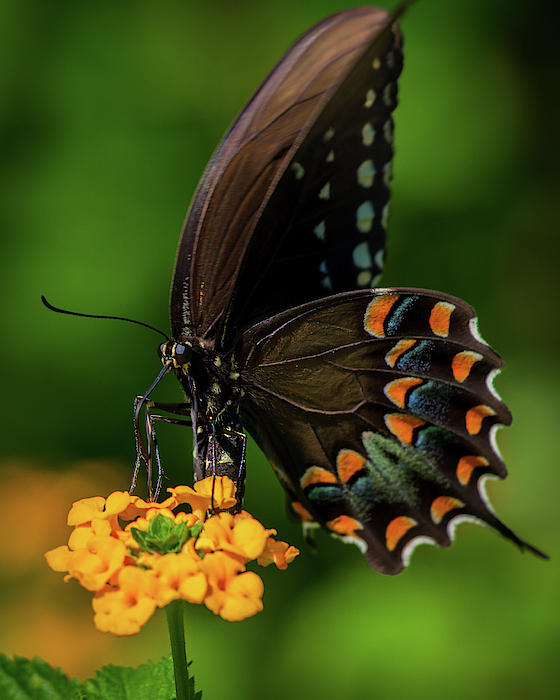 The swallowtails are unique in that even while feeding, they continue to flutter their wings. Unlike other swallowtail butterflies, spicebushes fly low to the ground instead of at great heights.